Winners of the Gelder Camp 2015 Treasure Hunt. Around 80 people braved what must have been the wettest weekend of 2015 to take part in the 12th annual Gelder Camp. 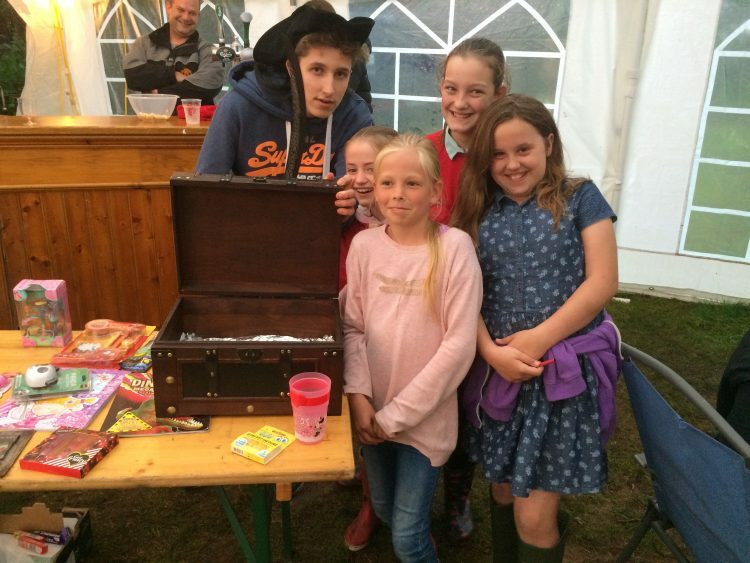 It rained constantly from 9pm on the Friday evening until Sunday morning, but this did not dampen any spirits with all the normal activities taking place, including football, treasure hunting, British bulldogs, bike rides, rounders, BBQ and bingo. Everyone had a fantastic time and despite the weather, it was a fabulous weekend. For more information about Gelder Camp, feel free to contact us.